If you're making plans for a vacation or a trip during the long weekend at the end of this month, why not consider a trip to historic Macau. Now is the perfect time to do so as SM City Marilao and the Macau Government Tourism Office join hands to promote picturesque Macao through a sale of tour packages to the city. 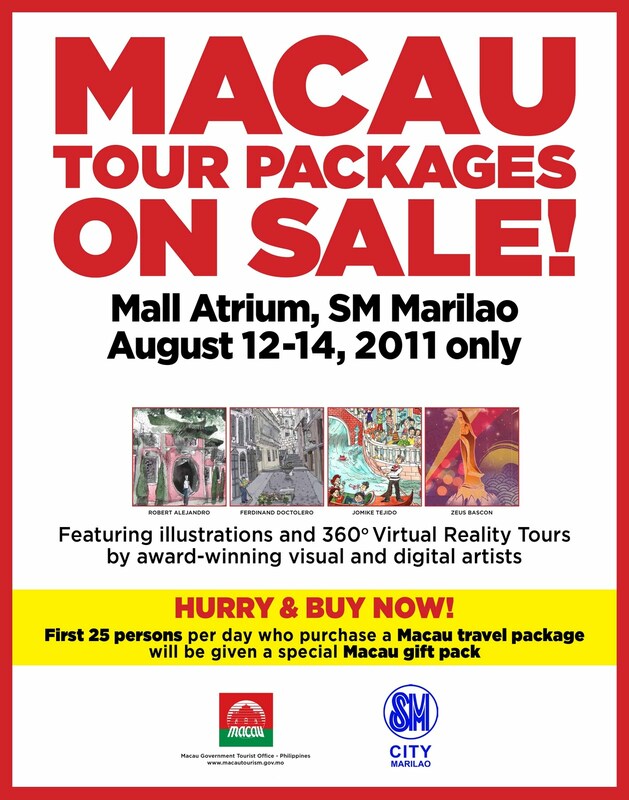 Simply visit SM City Marilao’s Macau exhibit area at the Mall Atrium from August 12 to 14, 2011 and get a big discount on the ‘On Sale Macau Travel Packages’ promo. Be one of the lucky first 25 booked on the spot customer of the day to get a special Macau gift pack from MGTO - Philippines. There will also be a display of different tourist spots showcasing the beauty of Macau. 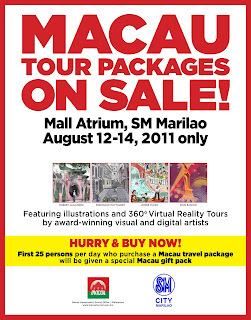 So visit SM City Marilao for huge discounts, special gifts and experience Macau.